So when you do any big trip one of the big things these days is keeping your gadgets charged, especially if you aren’t going near mains electricity at all. 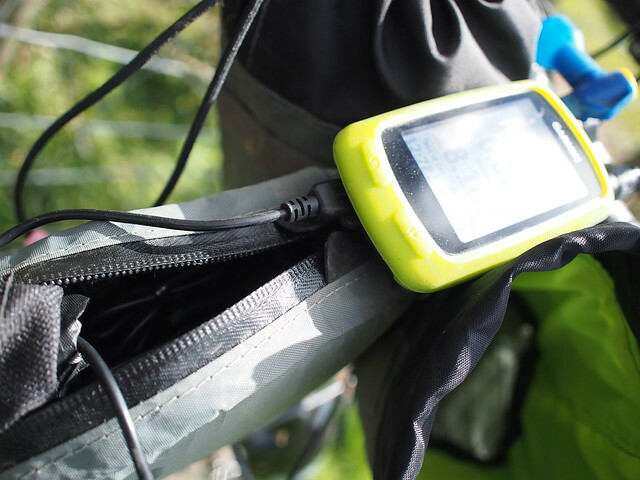 Camera, phone, GoPro, GPS, as well as lights all need powering and recharging. The dynamo hub is great for this job, but some extra electronics is required to give you a USB output to charge your stuff too. So this is my set up, some off the shelf, some Jimbo made! But it all does the job and I’m now self sufficient for the Tour Divide. 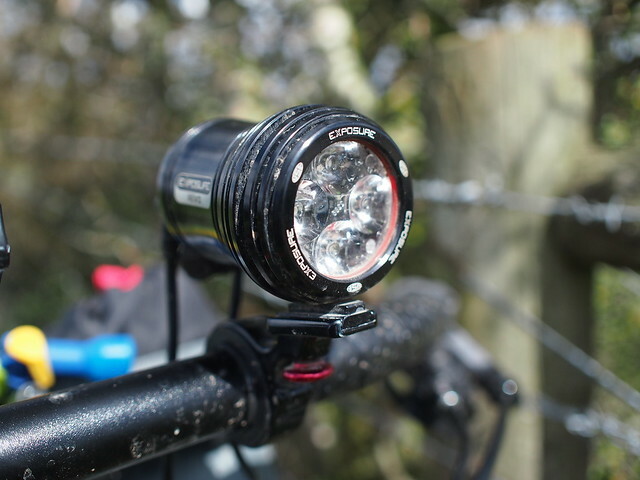 So, starting with the hub, I have the SP 8X hub, I’ve got this on all my bikes as I’m totally sold on dynamo lights now! You can run the e-werk cable and the Revo light cable together down to the plug, but I decided to make a switch box so that I could turn them on and off independently. So I took a trip to Maplin and came home with a small plastic enclosure some switches and some terminals. 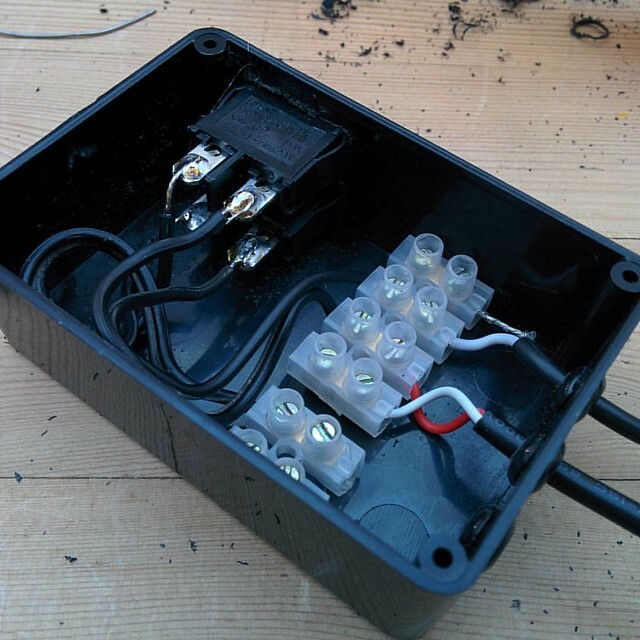 SO the box has two switches, one goes to the E-werk, the other to the Exposure Lights Revo. 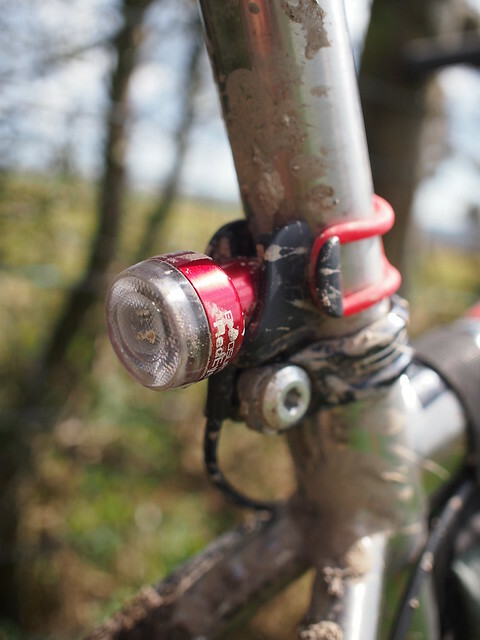 The Revo light is great, small, light and bright and the exposure red eye rear light plugs into the back of it. The Busch & Muller E-werk puts out a variety of voltages and currents, I have it set to a USB output, that way it will charge all my stuff. 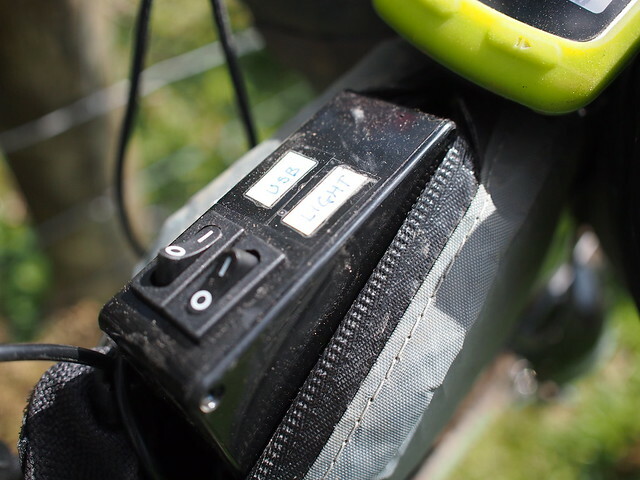 The output of the E-werk goes into a cache battery which provides a stable output so that you can charge the GPS while riding without it dropping in and out as you speed up and slow down. You can also either plug an additional power bank or your other gadgets in. 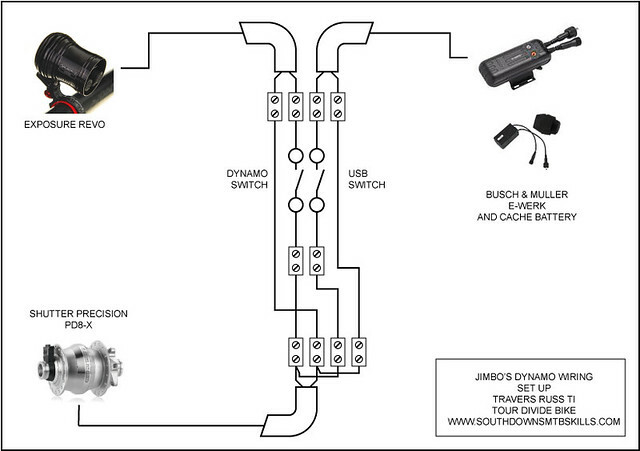 So here’s a diagram of how it is all wired. So all the gear is falling into place, and there’s only sixty five days to go!!! Hi Jimbo, I will be sorting out a similar setup very soon for my new bike. If ossicle could you let me know what fittings male and female work with the revo, as I haven’t bought one yet. 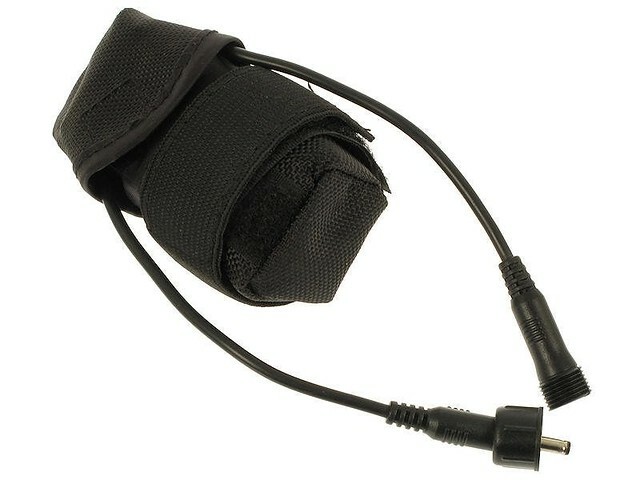 you can buy additional sets of dynamo wires from Exposure as a single item, you get one wire when you buy the light, so if you get an additional one too you you should have enough to cover all the bases. 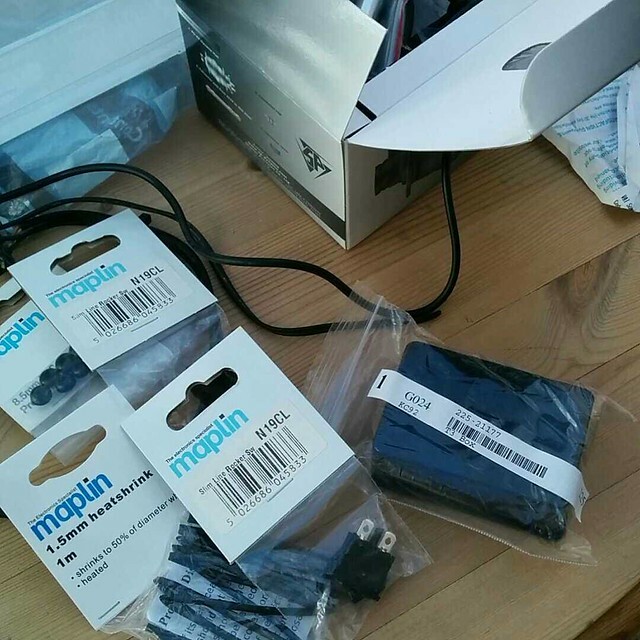 I also got a reel of wire from Maplin too when bought the parts for the switch box. Hi Jimbo, Thankyou for the reply. I think I was being a bit thick., but please check if my understanding is correct. The wire from the dynamo is bare wire, up to the switching box, where it goes into chock blocks and splits to switches. The Revo wire is then taken from switch to supplied terminal. The other switch is then taken off from bare wire to what ever terminal is needed for chosen usb charger? I’m looking at using the sinewave revolution which has bare wire ends anyway. Thanks again Jimbo, it’s all making sense now. Just one last question do you find the cache battery charges ok at speeds below 9mph? I’m probably going to use a sinewave revolution instead of the b&m. Not sure of the exact speeds, all I can say is that I’ve not been in the position where I couldn’t get enough juice out of it to charge the GPS. What I typically did was charge any gadgets I needed during the day then plug the GPS in for the last hour and that was generally long enough to do the job. Dear Jimbo, Please can you help me. 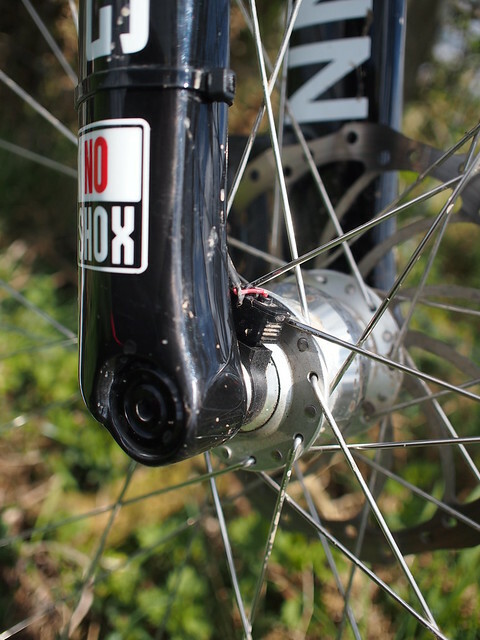 On my touring bicycle I have a Son front hub dynamo for my bicycle lights but also wired up through the handlebar stem to a USB charging port. Now I wish to charge up my Verso head torch from this port but am worried about exceeding the 4.2 threshold voltage needed for charging! 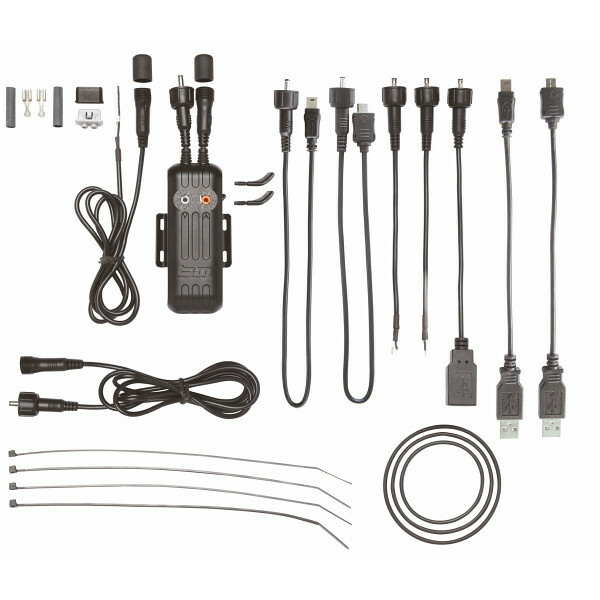 Do I simply need to use the USB mini-B boost cable supplied by Exposure with its built in transformer to safely charge my batteries? I purchased a USB top-up cable and am scared to use this as it may be unsafe to use! 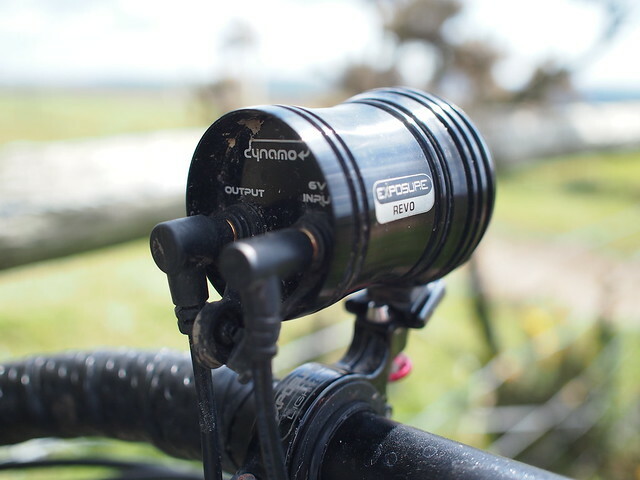 Can I run a revo light off a son hub but also the plug 3 with powers a battery that has my Garmin and anything else attached to it? I’m racing in the Transcontinental this year and I’m desperately trying to put together my dynamo setup but I need some help…I’ve got a SP dynamo, a B&M USB Werk and an Exposure Revo light (and rear light). I tried wiring in the light and USB at the same time but it made the lights very dim. Your solution of using a switch box to divert full power to either lights or USB looks good but I can’t find any commercial product to buy. 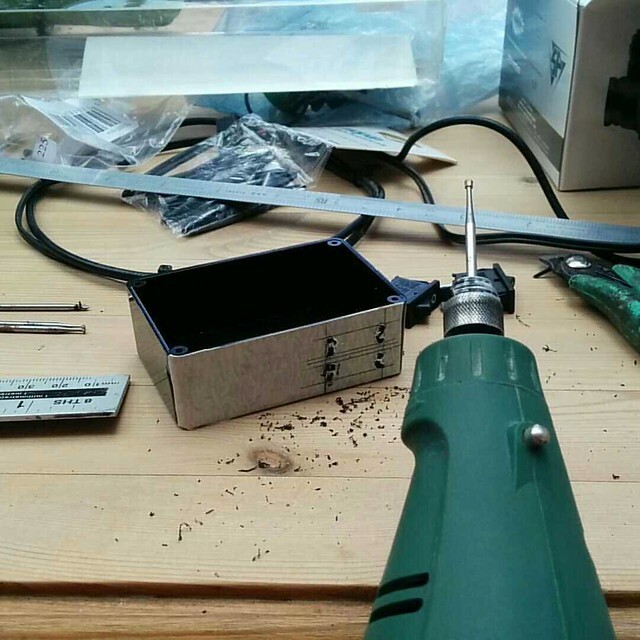 Can you recommend a good solution or could you make me one of your switch boxes?! Hi, sorry I’ve only just seen your comment. There isn’t a commercially available switch box, hence I made my own. The K-Lite system comes with a switch, but as you have all your other stuff already (like I did) it makes more sense to make one. Hi Gina, I found with them both connected permanently it made the light pretty dim when climbing at mountainbike speeds off road. So I made the switch box myself so that I could switch the light and e-werk independently. This allows me to run the e-werk during daylight hours, then switch it off and just use the light on it’s own in the hours of darkness. Hope that helps, Jim.